THE BAND IS A NEW PROJECT OUT OF LOS ANGELES CREATED BY TYLER DEMOREST AND MATT COHEN. THE TWO JOINED FORCES WITH TONY HAJJAR OF AT THE DRIVE IN TO PRODUCE AND PLAY DRUMS ON THEIR NEW PROJECT. INTENTIONS OF CREATING AN EP QUICKLY TURNED INTO A FULL LENGTH ALBUM. “WAKE UP” IS THE FIRST SONG WRITTEN AND RELEASED BY NEW LANGUAGE, DEBUTING ON TRIPLE J RADIO BY RICHARD KINGSMILL. 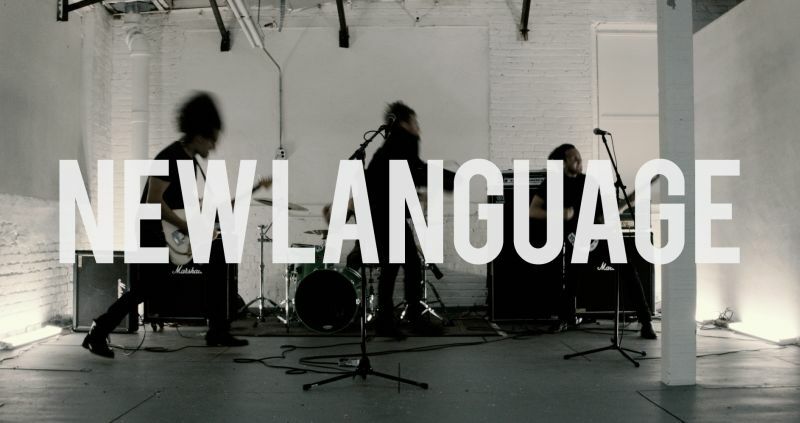 NEW LANGUAGE MADE THEIR DEBUT PERFORMANCE TO A SOLD-OUT CROWD AS A DIRECT SUPPORT TO ‘GONE IS GONE’ IN LOS, ANGELES, CA.